Posted on April 30, 2018 at 1:54 pm. The Goa government has indicated its plans to increase four-times the licencing fees of all casinos operating in the area. Casinos operators in the area including Delta, which is India’s sole publicly listed casino gaming operator, in the industry, have come together to negotiate a complete or partial reduction. However, Delta envisages that if the fee is to remain, most of its competitors may exit the industry with Delta being a lone ranger. Delta has been performing extremely well in the gaming market as its revenue keeps increasing. The company, saw an increase in revenue in the last quarter of 2017. Revenue surged by 11% with a 5% rise in its profits (earnings before interest, taxes, depreciation and amortization). There was a 64% increase in the net revenue year on year and 6% rise in the EBITDA. Delta company operates Goa riverboat casinos, online gaming and other hospitality ventures. 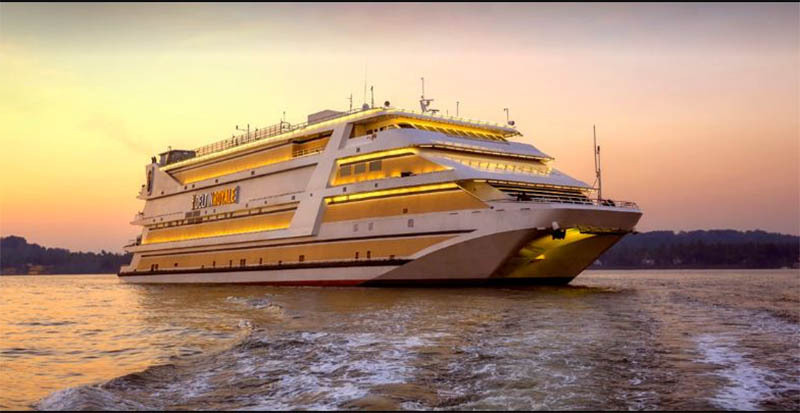 A report by the Union Gaming Asia indicates that a huge percentage of Delta’s increase in revenues comes from the Goa riverboats casinos with the online gaming and hospitality venture supporting it. Last year, Delta acquired one of the leading online gaming operators, which has boosted revenues from online gaming. It saw a revenue growth of 18% in the last three quarters of that year. In addition, there was a 20% year on year increase in their hospitality section of the company. India has a relatively small gaming industry compared to other countries because the country has a stringent political environment. Nonetheless, this is expected to change in the near future due to the viability of the industry and its potential. The general increase in revenue by 73% in the quarter of 2018 is an evidence of a growing industry. Due to the river boats, Delta is now limited from large-scale despite experiencing growth in previous years. According to an analyst of Union Gaming, Grant Goversten, Delta must move onshore to continue its growing ways. Despite the challenge, Delta still expects to see a growth in casino revenue by 29% in the next fiscal year and 22% in the 2020 fiscal year. If India allows integrated resorts, Delta can open land-based casinos in 2022.